Looking for ways to dress up your jeans and casual dress shirts? 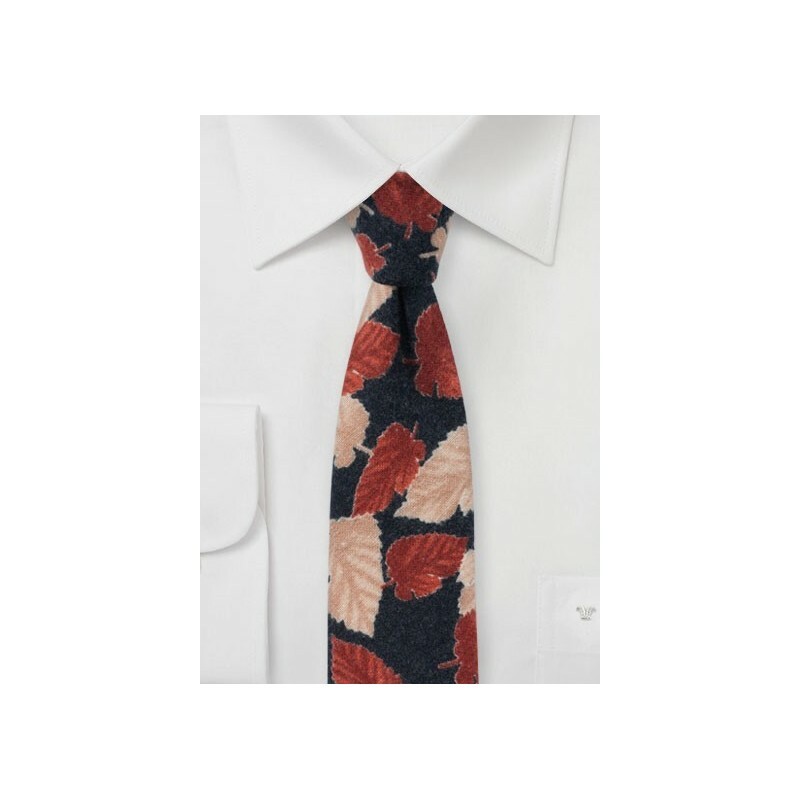 Then this retro leaf print tie by BlackBird would be perfect. The designer imprinted a tan and rust brown leaf print design on a midnight blue background. The large scale print paired with skinny width creates the perfect juxtaposition of scale. 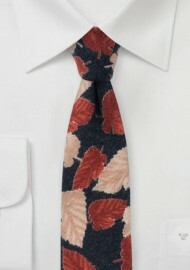 A great tie for dark wash jeans, casual shirts, vests, and even looks great in combination with suspenders. Handmade from cotton flannel print by neckwear brand BlackBird.